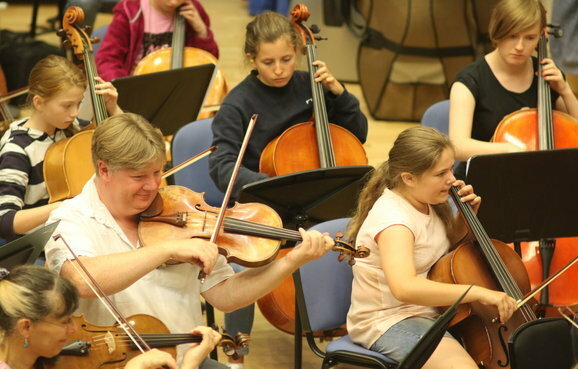 A Pettman DARE Fellowship provides a fully funded year of applied research in the Education department at Opera North and at the University of Leeds, before progressing to the next stage of a career in music education. As a Pettman Dare Fellow you are registered as a taught post-graduate student at the University of Leeds, at the School of Performance and Cultural Industries in the Faculty of Arts, Humanities and Cultures. The majority of practical research takes place at Opera North, where you assist in the project management of Opera North’s award-winning In Harmony programme, and observe a broad range of education activity. You also learn about Music Education in the context of a large arts organisation. At the University of Leeds you study Masters’ level modules on topics relevant to Music Education and the arts in the UK. Through this combination of practical experience and academic study, the programme is assessed and accredited as a Post-Graduate Diploma in Performing Arts Management. What benefits do Fellows get from the programme? A fully funded professional development opportunity, the only Diploma of its kind in the country. The chance to learn from leading music professionals and academics when immersed in the artistic and operational culture of a leading UK opera company and in the research and educational culture of a leading UK University. Practical experience of supporting the project management of Opera North’s award-winning In Harmony community residency programme in schools. Knowledge of the roles, skills and processes needed to ensure engagement projects of the highest quality. An understanding of the role of music organisations in the UK. Enhanced personal and professional skills to support career development. A network of contacts for the future. What do Fellows do and learn at Opera North? Supporting the In Harmony manager in the project management of this award-winning programme. What does the Fellow do at the University of Leeds? You spend at least two days a week studying at the university or researching off-campus. As a post-graduate student, you have access to the vast range of learning opportunities offered by the University as well as specific support from your academic mentors – great for research into topics relevant to music education and community engagement. In addition to the Diploma’s assessed modules, you can audit (sit in on, without assessment) other lectures across the campus. In the first term, you study one assessed 30-credit masters-level module, Arts Management and Cultural Leadership. This is a module within the MA in Culture, Creativity and Entrepreneurship in the School of Performance & Cultural Industries. Examples of lectures audited by former Fellows include Critical Concepts in Applied Theatre, Live Music Management and Promotion; Critical Debates in Culture and Place; Psychology of Music; and Music and Health. You can choose to audit lectures across all faculties and disciplines. Do Fellows connect with organisations and activity outside Opera North and University of Leeds? Yes, you are encouraged to find out about and visit relevant organisations and activities across the UK. Former Fellows have, for example, visited the Education teams at Welsh National Opera; Birmingham Opera; Scottish Opera; Glyndebourne; and Liverpool Philharmonic. You are also encouraged to attend relevant conferences and symposia, subject to budget. Is there any formal training? Yes. Fellows’ training needs are identified, and appropriate courses are sourced, such as Fundraising, and Marketing, subject to budget. You need to be self-driven. We provide you with a broad range of opportunities and aim to respond positively to any suggestions you have. It is up to you to make the most of them. When accepting the offer, you sign a Fellowship Agreement, which outlines your commitments as well as those of Opera North and the University of Leeds. Please note you are unlikely to be shortlisted if you have already experienced a comparable, post-degree, paid internship. Opera North and the University of Leeds encourage and welcome applications from candidates regardless of ethnic origin, disability, sexual orientation, age, religious belief or any other irrelevant factor. To support this commitment and to help us develop our policies and procedures, we ask all job applicants to complete Equality, Diversity and Inclusion survey. Any information you provide will be treated as strictly confidential, be held separately from the application form and will only be used for anonymous monitoring purposes. It will not be used at any stage of the selection process. Please note all questions are optional and we respect your right not to provide all or some of the information requested, but the more information that is supplied, the more effective our monitoring will be.